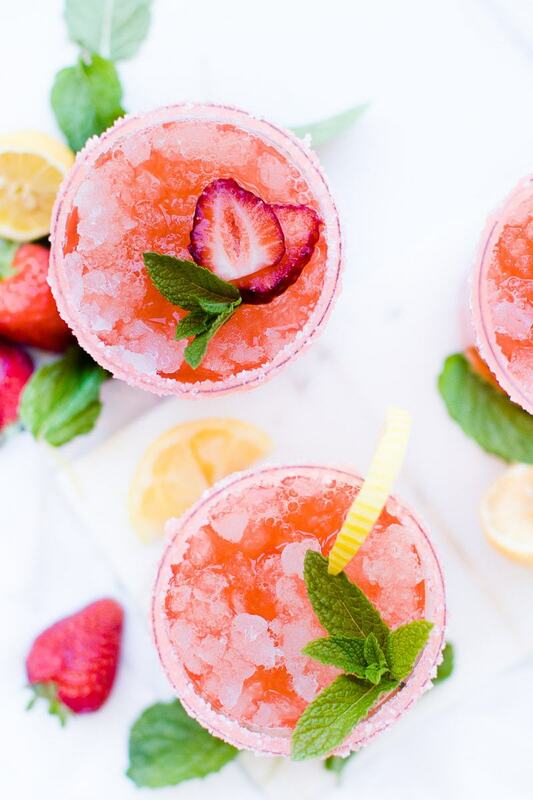 Homemade strawberry lemonade screams summer time.  BBQ’s, potato salad, swimming, and easy strawberry lemonade recipe. I first became a huge fan when we were in moscow and the women there always had a fresh batch of lemonade. I had had fresh lemonade, but not much- bot enough to really appreciate it. That’s when I gain a love for real homemade lemonade, especially real, homemade strawberry lemonade. FRESH fruit. 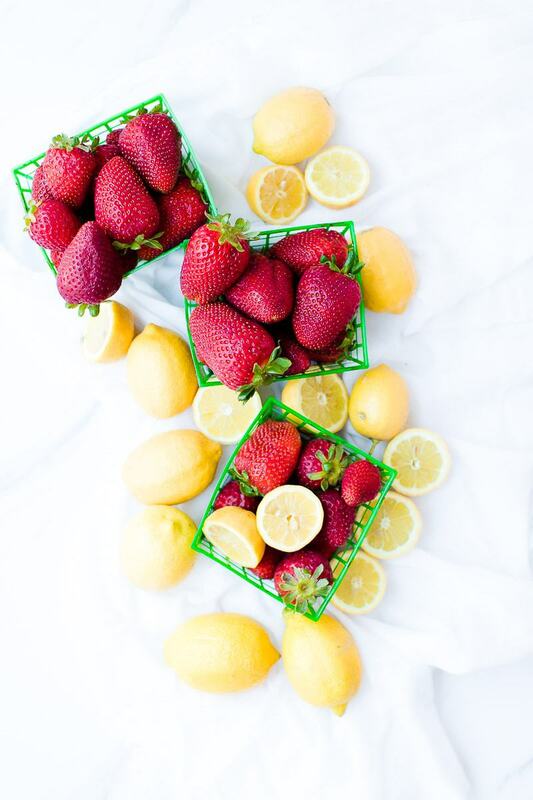 Fresh strawberries and fresh lemon. Sugar and water to make a syrup. Wash and slice your strawberries in half. 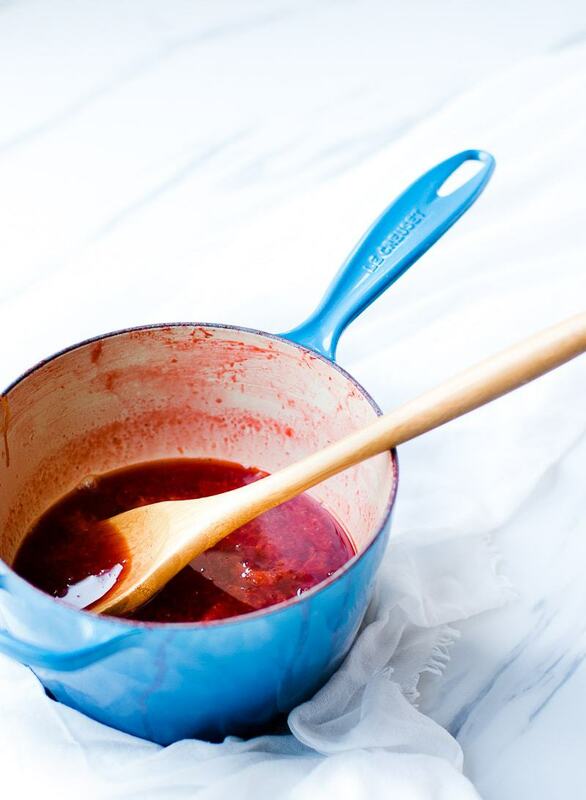 Then in a medium sauce pan add sugar, water and strawberries. You are going to bring these to a boil, then simmer until the strawberries are just about nothin. It’s ok if they are smallish chunks. We’re going to strain them out! Let the syrup cool a little bit and then strain out all the chunks. This is totally optional, if you desire you can leave it as is! Add more water, chill in the refrigerator to chill then serve!! 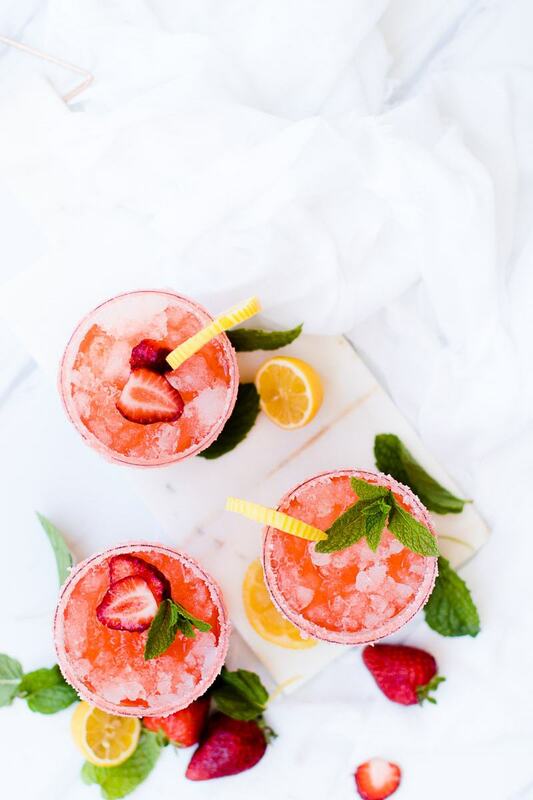 This easy strawberry lemonade recipe will be the perfect addition to any party, family dinner, or summer evening, on the porch watching the sunset. 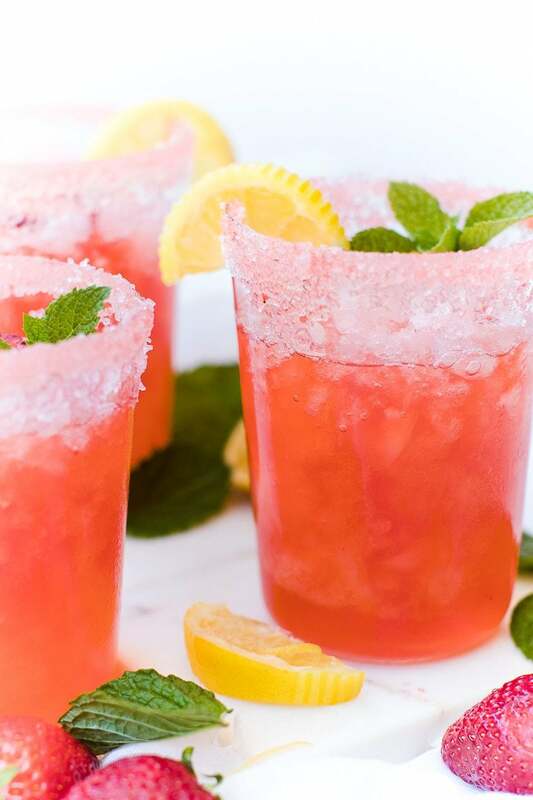 For more lemonade recipes CLICK HERE!! Follow us on our instagram for more recipes, tip and tricks! 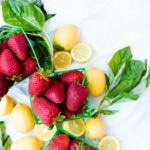 An easy strawberry lemonade recipe that fresh, fruity and perfect for summer! 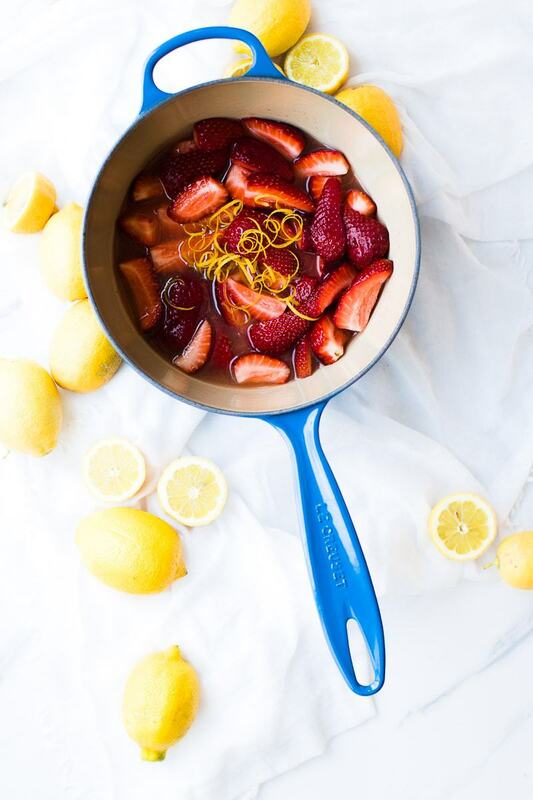 In a small sauce pan add sugar, 2 cups water, strawberries, lemon juice and lemon zest. Bring to a boil, stirring often and then simmer until strawberries area about disintegrated. Remove from heat and let cool. If desired strain strawberry syrup so their are no seeds or chunks. 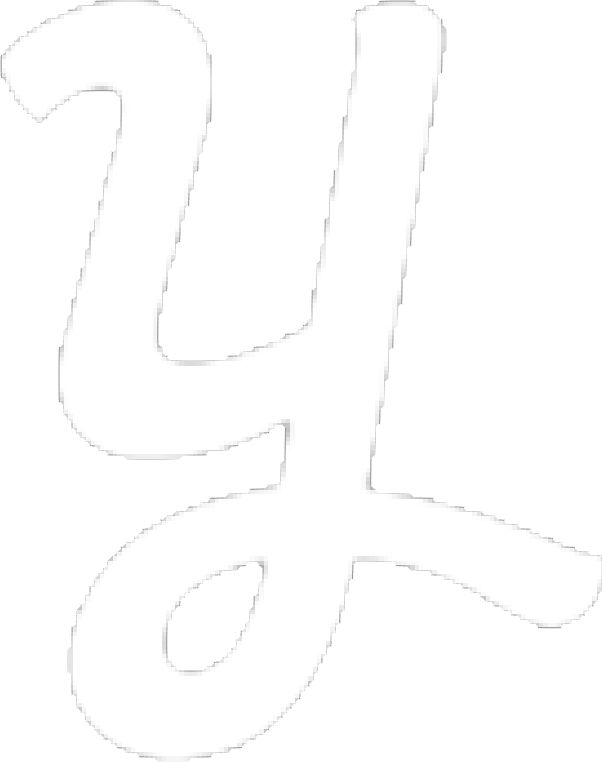 Add to a 2 liter pitcher, fill remaining pitcher with water. Stir and place in refridgerator. 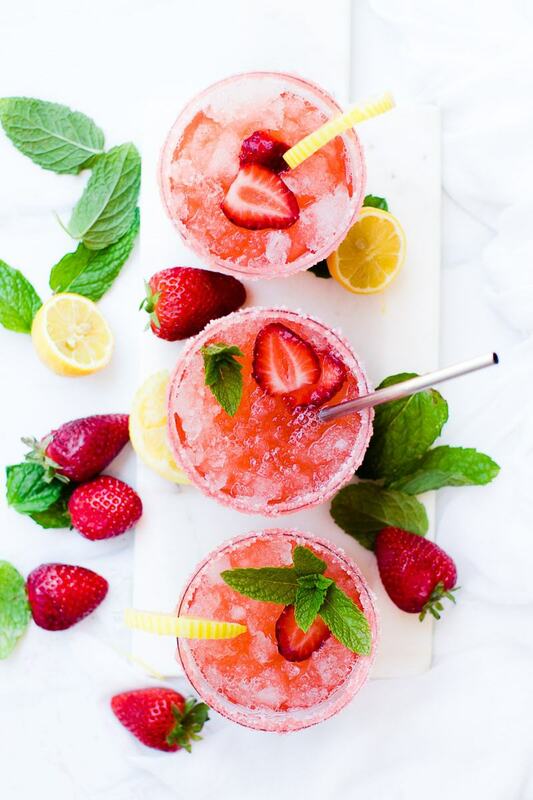 Serve over ice, garnish with lemons and strawberries. Omg this makes me want it to be summer now I can’t wait to try it!